You know something that excites us enough to share with all of you great people after midnight? 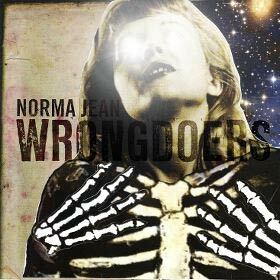 Norma Jean have partnered with Loudwire today to stream their forthcoming album, Wrongdoers. The album hits stores in a few days (August 6, to be exact), meaning that if you like what you hear tonight (or this morning, if you’re reading this on Friday), you can still pre-order the album today through Razor & Tie Records and likely receive it by in the first half of next week. Featuring several of the most unique tracks to be heard from the band in the last 5 years, this record sees NJ at the very top of their game. Make sure to read Matthew Leimkuehler’s review of Wrongdoers right here before, during, or even after following the jump to stream the full album.